Majestic Service & Repair in Idaho Falls offers a complete range of car repair, mechanic, and automotive services, from oil changes to complete engine overhauls. We believe that giving you a fair estimate and car repair, is critical to your satisfaction and our success. We hold strongly that preventive maintenance is always better and less expensive than major repairs down the road. 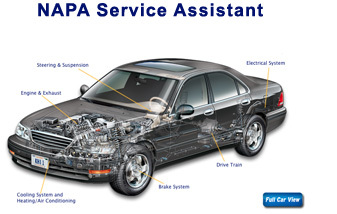 Our ASE Master Certified technicians and mechanics know and understand the unique driving conditions of South Eastern Idaho and focus on your specific service needs. We carefully explain the repair process to you before any work is started. We value the trust that you place in us to repair your vehicle.